The Museo Nazionale del Bargello is the world’s most important museum of Italian Renaissance sculpture, with work by Michelangelo, Donatello and Veronese. 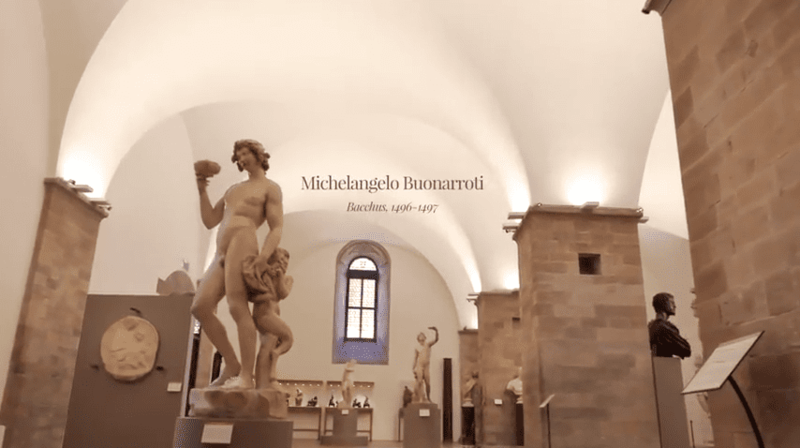 The Friends of the Bargello is a trust that aims to raise the museum’s profile to a level warranted by its collections and improve visitor experiences in every area of physical and online accessibility. Friends of the Bargello launched a brand new website, which beautifully outlines their work raising money to preserve and present some of the world’s greatest works of art. Our work can be seen in the video backgrounds of the website, creating an immersive experience, and in a powerful fundraising film. Chocolate Films was commissioned to produce video content for the Friends of the Bargello website by the trust’s agency Flint PR. Over three days in Florence, Italy we shot every room in the museum, as well as the streets and squares of the city.